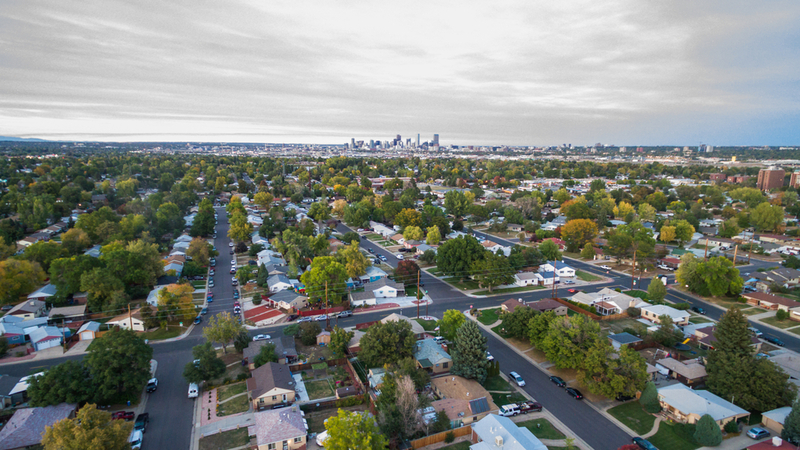 Investing in neighborhoods – particularly Denver neighborhoods – starts with knowing your goals and which areas can meet them. For example, you might want to look at the best Denver neighborhoods for families if you are considering a multifamily investment property. At Unique Properties, we understand location is vital. It’s just as important in the selection of multifamily and commercial properties as it is when choosing your own house. Using in-depth knowledge from years of successful transactions around the Mile High City, we’ve compiled a list of neighborhoods to consider first when it is time to invest in Denver. Don’t let the inauspicious name throw you – Congress Park has one of the highest approval ratings in Denver. The reason? High-end restaurants and shops have congregated in the area over the last few years, making it an excellent place for families and rising professionals. The schools are some of the best around, and newcomers just love the traditional architecture. Hilltop is an established and affluent neighborhood known for its gorgeous green spaces. The most famous of these is provides Cranmer Park. Its central location puts it in the midst of some of the best local amenities. World-renowned boutiques can be enjoyed in Cherry Park, just a few minutes away. Hilltop is known for peace, quiet, and remarkably low crime rates. Mar Lee is an affordable neighborhood that has seen an influx of new residents – home sale price has increased 20% over the last year, higher than Hilltop or Congress Park. Great parks, a slew of dining options, and its central location have all been cited as key reasons for the shift. Hampden South has seen a massive 33% increase in home prices, yet people are still flocking to it. A quiet suburban area, it is appreciated for easy parking and a slower pace of life … while still within easy reach of all the city has to offer. It also provides picturesque views of the foothills. When you want to get away from it all – or just feel like you have – Indian Creek is the place to be. Located a short ways west of Cherry Creek, the neighborhood is balanced between residential and warehouse structures. It’s home to a much-loved bicycle trail. To make the most of your investment in the fast-moving Denver area, you need a Denver multifamily property brokerage you can trust. Unique Properties has a portfolio of sought-after investments in the best neighborhoods in Denver. We make the process easy with multifamily brokerage and lending under one roof. To learn more, contact us today.